3x and 2x Guest + Tier miles promo. Book by 20 February 2016. Travel valid from 10 February until 30 June 2016. Etihad double miles in economy. Registration is mandatory to receive bonus miles and is valid from 16 September until 28 September 2015. This offer is valid for travel between 25 Sep until 15 December 2015 only. 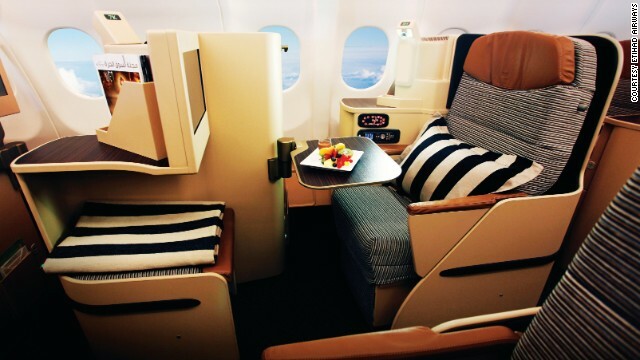 Etihad Triple miles in business class – partners included. Open to all new bookings made between 16 September and 28 September 2015. This offer is valid for travel between 25 September and 15 December 2015. Register for the offer HERE. 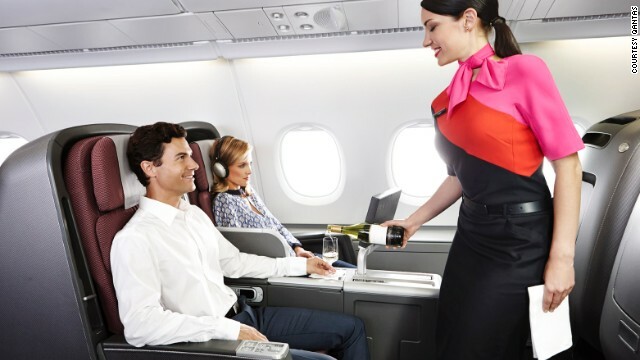 Qantas companion fare special to Australia and New Zealand. Economy, Premium Economy and Business. Sale ends Sunday, 13 September 2015. Travel between 7 September and 30 November 2015 or between 1 February and 31 July 2016. Etihad triple and quadruple miles. Register by 20 July 2015. Etihad Double miles to Mumbai, India ( via Seychelles). Book before 31 July 2015. Access and register for the offer HERE. Book by 19 April, fly by 10 December 2015. Book before March 3, fly by December 12, 2015. Register for double miles. Register for double miles HERE. Book by 4th January, 2015 – travel up to 15th June, 2015. Enrol as a Privilege Club member today at qmiles.com and enter promo code “AFRICA2014” to earn double Qmiles on your first flight. R334 for a return flight is a great deal. Access Mango’s page with T & C HERE. Book by 10th November 2014 fly from 6th November 2014 to 15th June 2015. Qatar Special Offer. 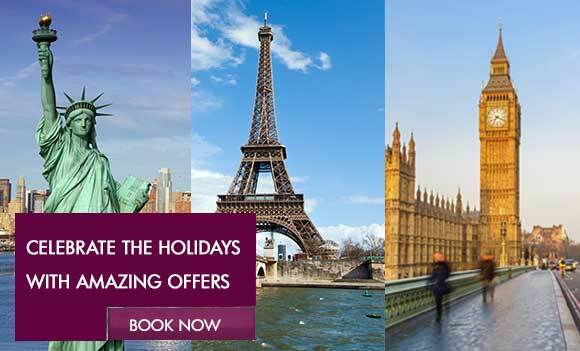 Book by 29th August for travel until the end of March 2015. Below: Availability for upcoming school holidays are plenty. 5x Skytrax world champ in Lowest Airfare has their second Big Sale of the year. Fares are actualy from $9 and include all taxes but does not include checked luggage or credit card payment fees. Conclusion: Do it, its free and it works. Etihad Airways, is pleased to announce ‘Any City, Same Fare‘ offers! Enjoy an extensive selection of destinations when you fly from Johannesburg, or from Cape Town, Durban, East London or Port Elizabeth via Johannesburg to Europe, the UK and the US and take advantage of a common fare – any city, same fare. This is a fantastic opportunity for you to experience the best of our network, for less. But hurry, sale ends 25 April for travel until 15 June 2014. To book these fares, visit www.etihad.com, call 0860 123 150, or visit your nearest travel agent. Terms and conditions apply. The fares mentioned above are ‘starting from’ fares and include taxes, surcharge and exclude service fees. Some additional surcharges may apply on certain destinations. Changes are permitted at a charge. Cancellation is not permitted on these fares. Interesting to see non of the USA airlines have made the list as the write up is compiled via CNN. Four Gulf airlines have made the list, Oman, Qatar, Etihad and Emirates. (Saudi Arabian Airlines has a long way to go to match their Gulf counterparts, although i’ve had pretty good friendly service on board, most of their business class seating is as good as economy on the other airlines and many of their aircraft are in need of a upgrade to maintain the Gulf consistency amongst all its carriers). Oman Air comes in second after winning many awards in the last 2 years via Skytrax Awards. They certainly pride themselves with these awards as their airports are decorated with posters inside and outside with this achievement. 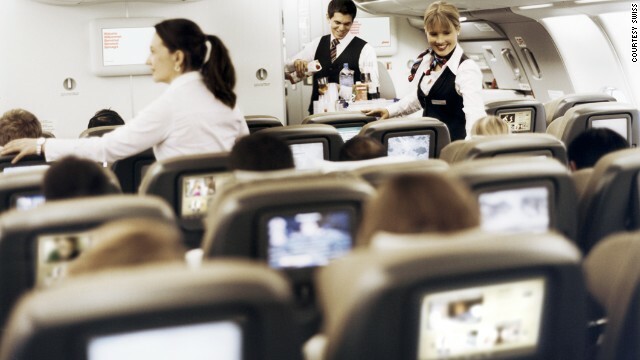 With business class seating, each airline has it different for short, medium and long haul flights. Most times its standard on short and medium haul flights. ( Eg. South Africa to Mauritius on SAA and many local flights within each respective countries). 1. Singapore Airlines. 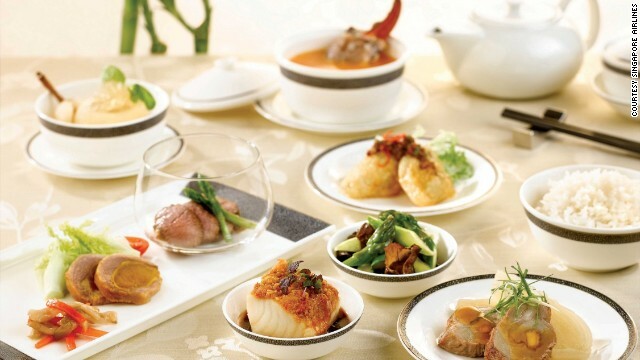 Among its many best-in-class offerings, Singapore Airlines has a stellar culinary program: There’s Givenchy tableware and a special “Book the Cook” option that enables passengers to preorder their main course from a lengthy online menu. 2. 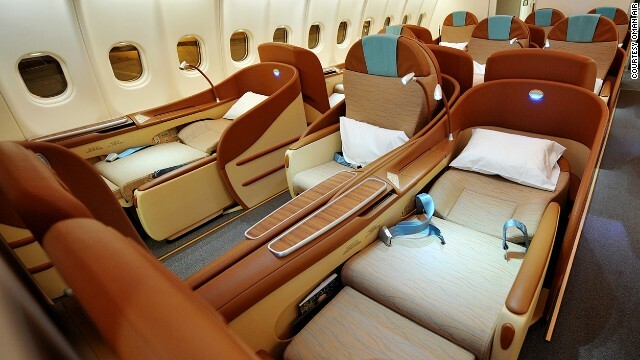 Oman Air. This airline offers door-to-door service with complimentary chauffeur-driven airport transfers in select destinations such as Paris, London, Muscat, Oman and Mumbai, India. 4. British Airways. 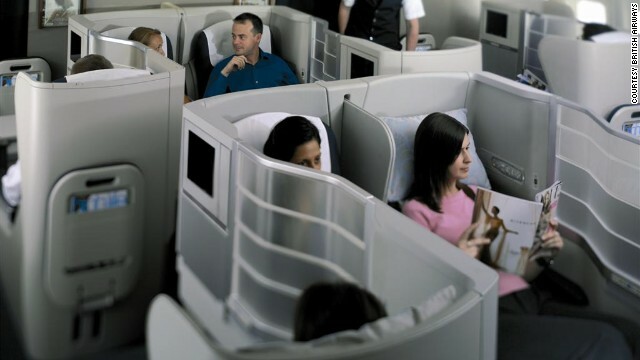 The airline’s lie-flat seats have a distinctive “Z” position that extends to 6 feet, 6 inches and is ideal for watching movies, and the carrier’s lounges also garner top marks. 5. Etihad Airways. Etihad’s Pearl business-class cabin features 6-foot-1-inch flat beds with privacy shells and direct aisle access from every seat; food and beverage managers for each passenger; and thoughtful touches like mood lighting to help ease jet lag. 6. SWISS. Attention to detail is what sets this airline’s business cabin apart: Expect out-of-the-box touches like all-veggie menus from Zurich’s Haus Hiltl, the world’s oldest vegetarian restaurant. 7. 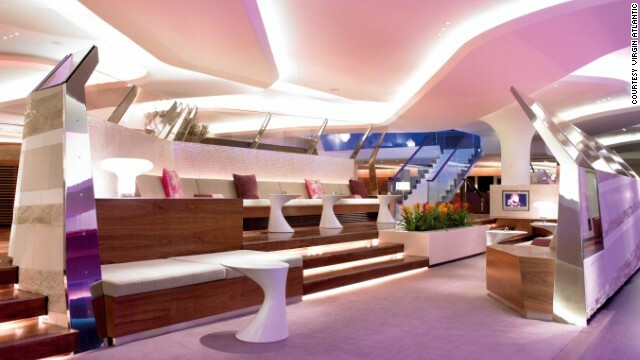 Virgin Atlantic. 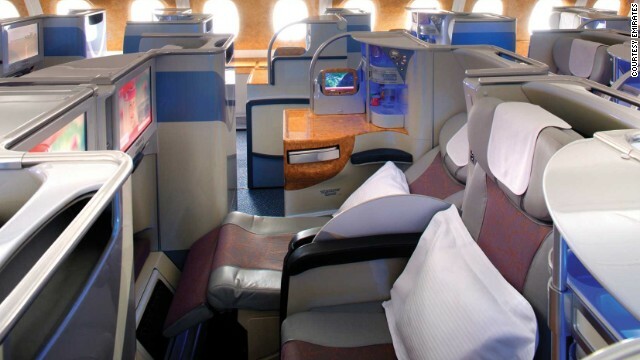 Business travelers love this perennially popular carrier for all the reasons you’d imagine — modern planes, an upbeat staff and loads of perks in the cheekily named “Upper Class” like 22-inch-wide beds that convert to 33 inches when it’s time to sleep. 8. Cathay Pacific. 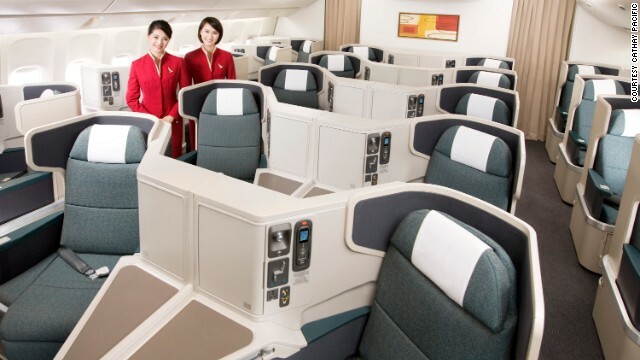 This Hong Kong carrier still stands tall when it comes to providing passenger comfort, with one of the world’s widest business-class seats at 32 inches and a side storage compartment that doubles as extra knee space for those who prefer sleeping on their side. 9. Qantas. Passengers on this Australian carrier recline in award-winning Mark Newson-designed Sky Beds with massage options, and airline staff members do a turndown service with a mattress and duvet on request. 10. Emirates. The fact that Emirates has one of the youngest fleets in the sky doesn’t hurt its reputation as one of the luxury airlines to beat. Etihad Guest, our loyalty programme has everything you’d expect from Etihad Airways: personalized, luxurious and always rewarding. And to fast-track your journey to fantastic benefits, we’d like to make you an offer that’s hard to resist. If you’ve got a gold or a higher-tiered card with any other airline loyalty programme, we’ll match it with a complimentary Etihad Guest Gold card*! That means exclusive benefits like luxurious lounge access for you and a friend, 50% extra Etihad Guest Miles on flights and a host of other great rewards. With PointsPay, you can convert your miles to cash to spend at over 30 million in-store and online outlets worldwide. Why this sudden generosity? Because we are confident that once you are upgraded to Etihad Guest Gold, no other loyalty programme would do. Offer is valid for applications received until 22 February 2014. Only applications received will all the required documents will be considered. Applications received with illegible scans of documents will not be considered. You will receive a confirmation mail informing the status of your application within one month of your application. This offer is also open to existing members of Etihad Guest. For existing Etihad Guest members, your current Etihad Guest Miles will be carried forward at the time of upgrade. Selection of members for tier upgrade is completely the discretion of Etihad Guest. Etihad had this promotion twice during 2013. The first time was limited to the first 500 applications and the second time limited to the first 1000 applications. There does not seem to be a limited to this offer (yet). As we all know Etihad changes their minds with regards to terms and conditions over-night so best apply NOW, don’t delay. Etihad has been building alliances with many other airlines ifnot buying stake into the airlines as well and the benefits of a Gold status will definitely come in handy. 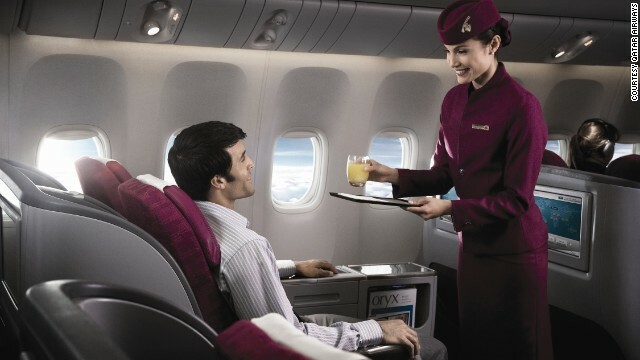 Qatar Airways special. up to 15% off to ALL destinations worldwide until Feb’15 originating from South Africa. Kind of like a 1st princess runner up prize if you missed the 30% off sale 2weeks back. Etihad Book online and earn 25,000 bonus miles ! This offer is only valid for bookings made on etihad.com between 4 February and 15 February. Bonus miles will only be credited if the Etihad Guest membership number is included during the time of booking. The miles will be deducted from the account if the booking is cancelled. The bonus miles earned will be Etihad Guest Miles and not Tier Miles. The bonus miles will be credited within two weeks after the promotion ends. This promotion is not valid for SuperSeller members. Etihad Guest members can also earn triple miles for travel in Diamond First or Pearl Business Class till 31 March 2014. 25000 bonus miles is a huge promotion (considering Johannesburg to Jeddah requires 35024 miles return in coral economy) now blend that with the double or triple miles bonus offerings to selected destinations and fare classes and you basically have your next airline ticket free. I cant imagine the amount of x 25000 bonus miles people will rack up for Abu Dhabi – Doha (1 hour flying time) per return. (cost AED 765). I wonder if paying and just flying aimlessly here to rack up miles will be in our mathematical economical favour..
Emirates has a 1day sale to Hong Kong @ R7600. Qatar has it on this special @ R5600. This sales good. Pity its not blending in with IHG specials due in 8 days time. The 1st question I asked: what if I have 10 kids, the answer: well your 10 kids will fry free, only infants will pay their specific full portion fare. $391 usd. return in economy JNB-JED. with the breakdown of fare routing.